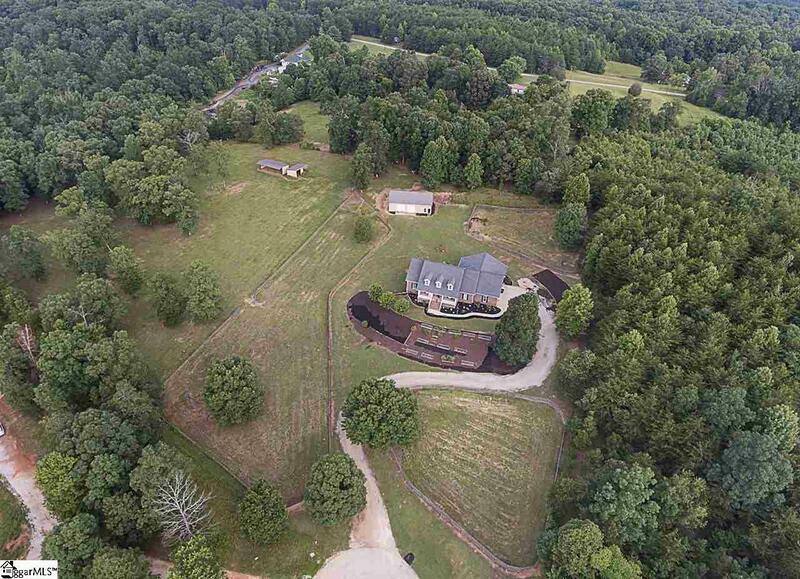 You will fall in love with this equestrian property located on 7.3 peaceful acres in Greenville County north of Greer (south of Hwy 414 & Hwy 11). 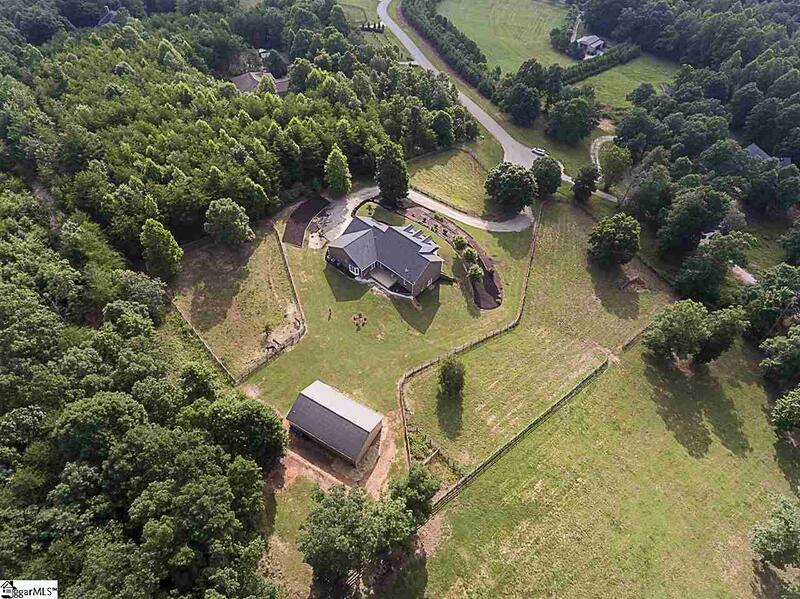 There are 4 pastures, 2 feeding paddocks, 2 run-in shelters, out-building/shed with 2 garage doors- washer/dryer hookup- full bathroom for outdoor cleanup. 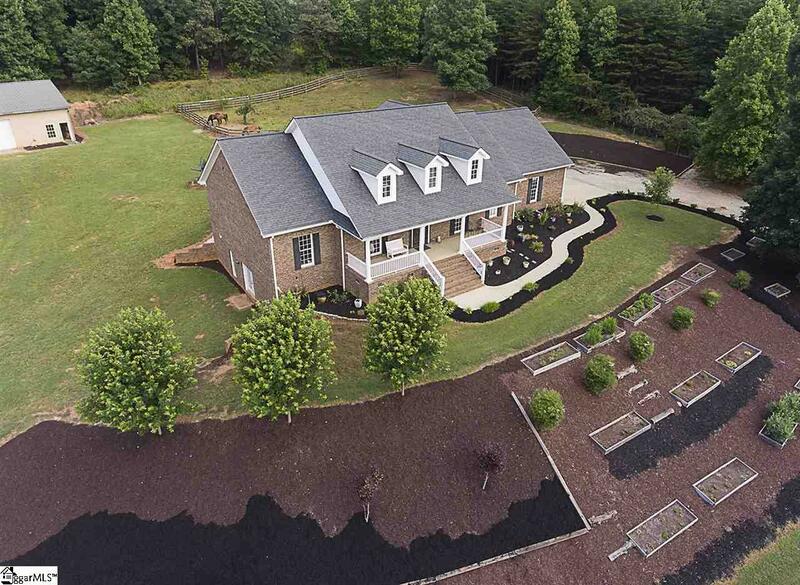 With over 7000 square feet, this estate will fit most any need and any lifestyle. Main floor is an open, split concept with 4 bedrooms, laundry, a formal dining room and great room with hardwood floors, gas fireplace and large windows/doors overlooking the back patio and yard. The cook of the family will be comfortable in the kitchen with plenty of prep space including an island, double oven, gas stove and generously sized walk-in pantry. The bright master bedroom is located on the main floor and boasts tray ceilings, bay windows and a French door to the patio. Bathroom has dual sinks, jetted tub, separate shower, private water closet and 2 huge walk-in closets. Laundry room has two sets of washer/dryer hook ups and a utility sink. House is wired for surround sound (equipment conveys), has an alarm monitoring system and 2 tankless water heaters so everyone gets a hot shower. Upstairs youll find 3 more bedrooms, a storage room, full bath and loft area suitable for a den, crafting space or home office. Walkout basement is the icing on the cake and will surprise you with a tremendous space set up as a home theatre/family fun getaway perfect for entertaining a crowd. Also, in the basement youll discover a full bath, another washer/dryer hook up, safe room/dry food storage area constructed with 3 block walls and additional room with a closet (no window) that could easily be setup as an 8th bedroom. 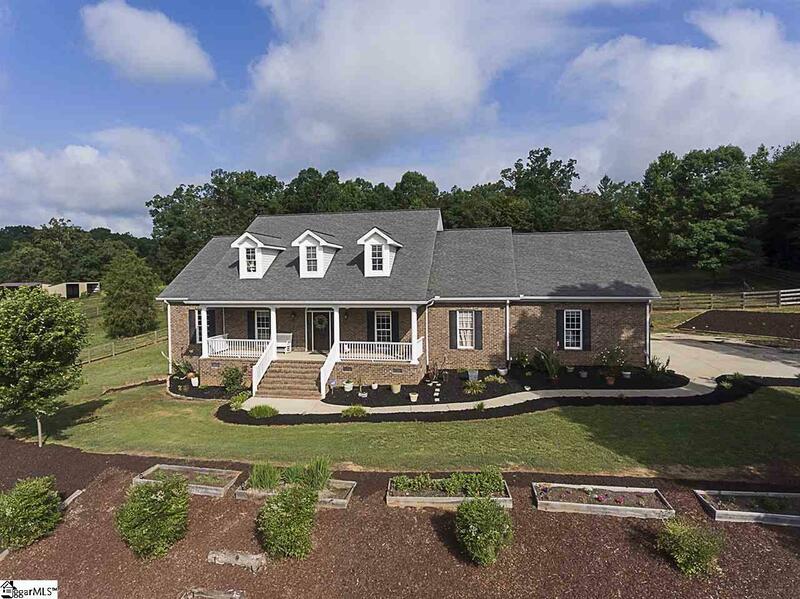 Words cannot do this home justice or explain the enormous amount of space to store your treasures, large and small... home would also perfectly accommodate multi-generational/family living come see for yourself!